Another Tuesday, another new mini-update. Further bolstering the roster of Sports Classic vehicles is this week’s scheduled Grand Theft Auto Online DLC, which, as always, is accompanied by discounts and, as it often is, a new Adversary Mode. 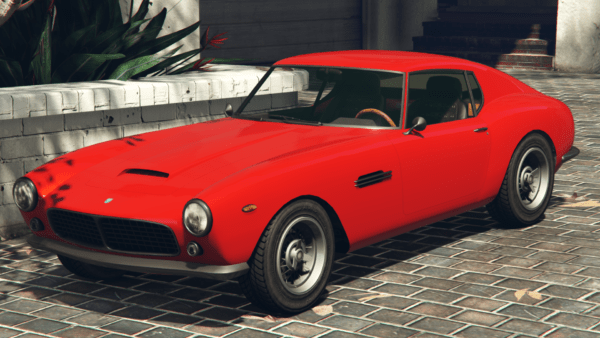 The Grotti GT500 is primarily based on a retro Ferrari model with a few unique touches and some design sensibilities shared with the Stinger and Stinger GT vehicles. A rarity these days, the GT500 features a fully unique and custom made interior. The GT500 is definitely one for the collectors, as while it looks stunningly fantastic, it certainly isn’t much of a racer. It isn’t terrible performance-wise, not even bad, but certainly not on top. For that, it’s coming with a rather generous price-tag of GTA$ 785,000. Thankfully the dual-machine gun gimmick hasn’t continued. 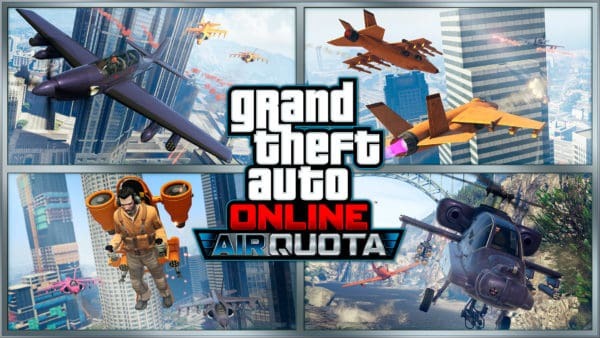 The new Adversary Mode, Air Quota, is a reimagining of another Adversary Mode from back in 2016, Kill Quota. Kill Quota saw teams picking 6 weapon loadouts, starting with the strongest, and working their way down to the melee option by racking up kills. First kill with a melee weapon meant victory. Based on this, you can mostly guess what Air Quota is going to be about. Instead of weapon loadouts, the mode will have teams pick vehicle lineups from the game’s aerial roster, with competent combat vehicles up front and… well, less competent planes and such which happen to have offensive capabilities later on. As you get more and more kills, you start downgrading to prove your skill. As is always the case, the new Adversary Mode will pay out double rewards for a week, meaning playing Air Quota through the 22nd of January will get you twice as much RP and GTA$ as you’d normally get. It’s also a fantastic way to get in practice with the game’s finicky air vehicles, which you can definitely make use of in Freemode as well. This week’s discounts focus mainly on the new mission-specific property added to the game with The Doomsday Heist, the Facility. While the properties themselves won’t be getting cheaper, you can trick out your new HQ on a lower budget thanks to a 25% discount on Styles, Graphics and the Security Room. On the vehicles front, the same standard rate of 25% has been slashed off the prices of the Buckingham Pyro and the HVY Nightshark. Admittedly, this week’s offerings are hardly the best set of discounts we’ve seen in weekly updates. But hey, it’s something. We’re still pretty early in the wake of The Doomsday Heist, but nonetheless, chances are that Rockstar could soon release something bigger than these standard weekly updates, albeit smaller than a big DLC like Doomsday soon to give 2018’s first month the right vibe for the year. Keep an eye on our site for any news.